BMW has long said that BMW i wasn’t created exclusively for developing and manufacturing their plug in electric vehicles; that it would also be devoted to developing sustainable mobility solutions as well. Car sharing is one of those mobility solutions that are getting a lot of attention lately, and not just from independent companies like Uber and Lyft. OEMs are also getting into the car sharing game, and GM’s Maven car service is now in 13 US cities. 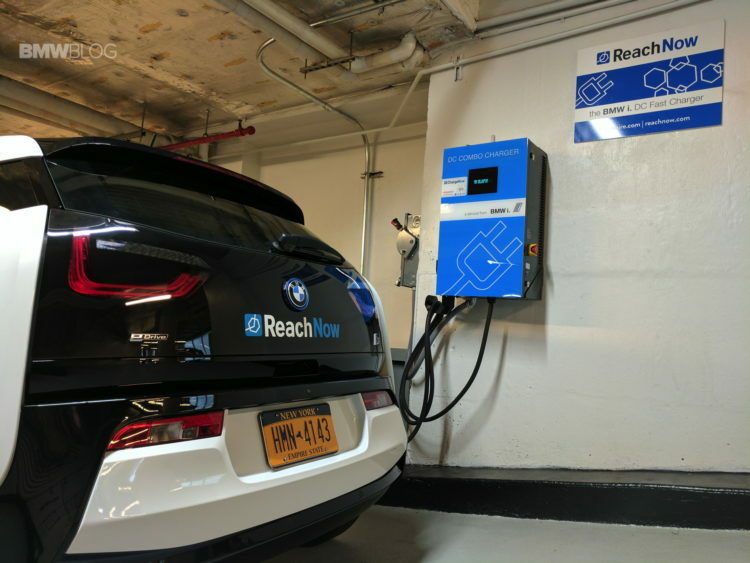 BMW’s car sharing arm was initially called DriveNow, but was recently brought entirely in house (DriveNow was a partnership between BMW i and Sixt) and rebranded as ReachNow. ReachNow was launched earlier this year in Seattle, Washington. They then added service to Portland, Oregon and recently became available in Brooklyn, NY. 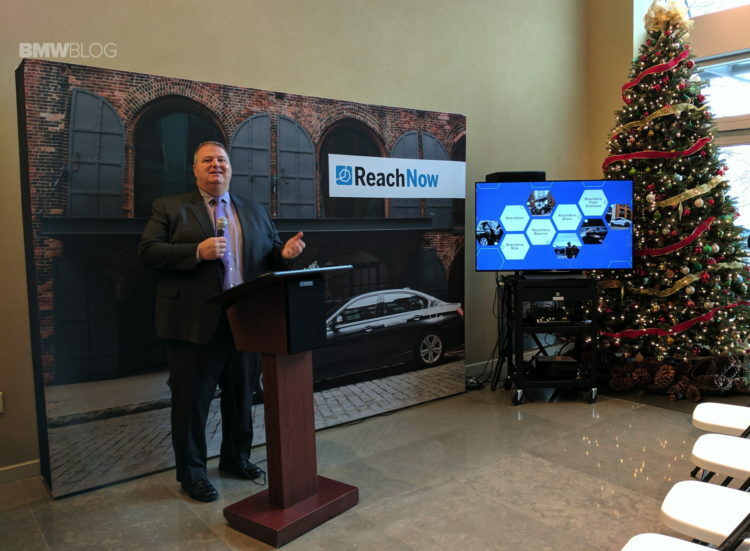 However yesterday, BMW i and the Albanese Organization announced a partnership to bring ReachNow vehicles to two luxury high rise buildings located in lower Manhattan’s Battery Park City, the Solaire and the Verdesian. 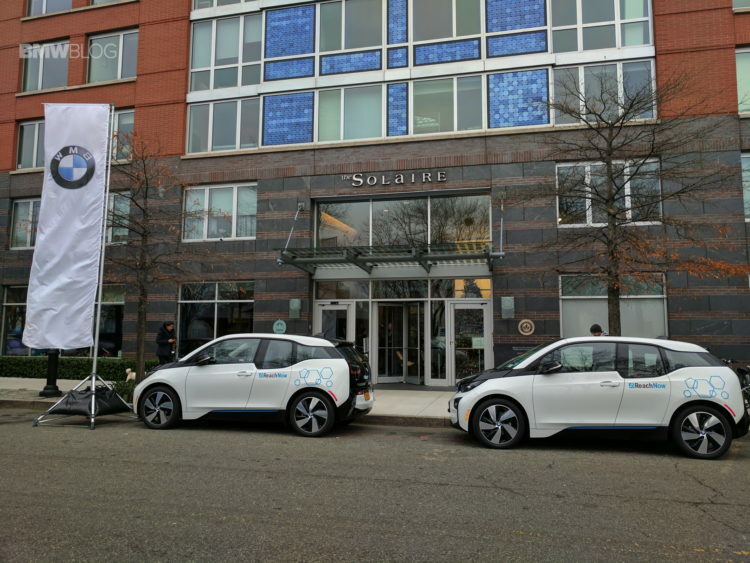 There will be five ReachNow vehicles – two BMW 3-Series sedans, and three BMW i3s that will be available exclusively for the residents of the two sister buildings. Residents simply sign up for ReachNow service and pay only as they use the vehicles. It’s 41 cents per minute and there’s no sign up or annual fee. The resident simply reserves an available car and picks it up from the buildings parking garage. While forty one cents per minute may sound expensive, one has to consider the fact that the end used never has to worry about maintenance, fuel or insurance expense. Considering that, and the fact that you get the use of a $40,000+ BMW, it’s actually very reasonable. 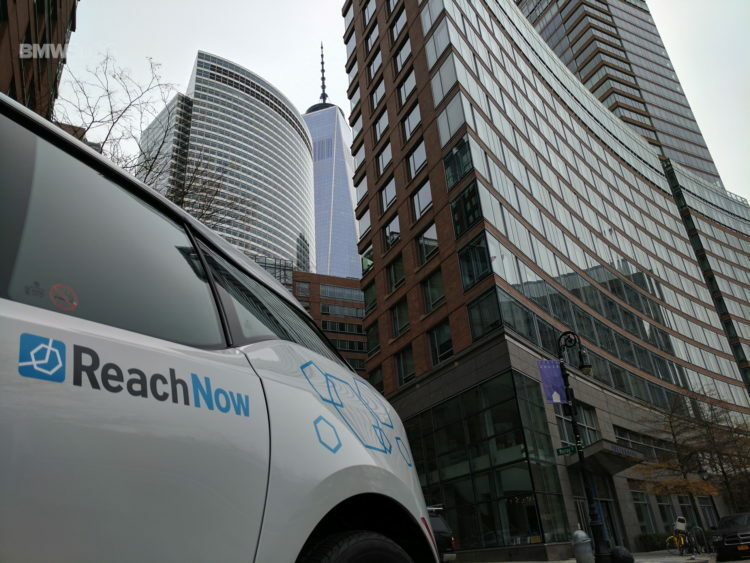 Over 40 residents of the building were given a chance to drive the cars, and within a week, ReachNow had already recorded 100 reservations for these vehicles. 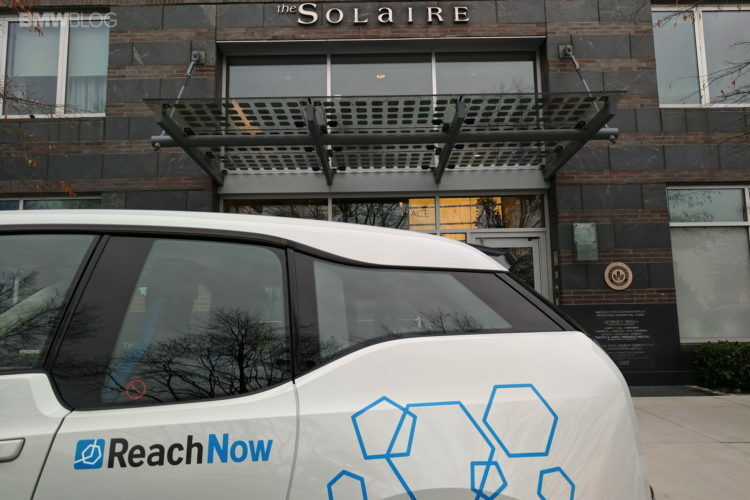 One resident of the Solaire even said that he would consider selling his own car now that the building will be offering ReachNow vehicles as an amenity. The parking garage at the Solaire, has three EV charging stations to keep the i3s in the fleet charged. BMW paid for the installation of a DC Fast charge station to add to the two existing Level 2 charging stations that were already there. The parking attendants will be responsible for keeping the i3s charged for the residents and it seemed to me that they were ready to do so. When I arrived for the press announcement in my i3, the attendant immediately recognized the car was an i3, and told me he’d plug it in for me immediately, which he did.